...Hot Wheels consume you! Aside from posting a few as I'd found them, and some bait for $kay, I've not posted the collection. Thought this might be a good time as lately I've noticed a few posts regarding the starting of a collection. This is both a warning and also to show what spending far too much time over a 10 year period can do. None of these were found the easy way (ebay). I don't find much fun in that. It's about the hunt. Searching Craigslist on a weekly basis led me to find a guy that acquired a lot of junk at and auction. Pictures showed lots of loose Hot Wheels and a few in packages, but none that caught my eye. Called anyway and drove 25 min to his house. In the garage were the Hot Wheels in the pictures he posted (meh) and one that wasn't in the pictures. This dealership was sitting by itself. "How much? ", I asked. "$10", he said. "Would you take $8?". "Yep". Picked this up at a Diecast shop. They weren't difficult to find at the time, but required a real want as they were expensive for just 2 cars. These six 1/43 cars are my favorites of the collection. Where I was working at the time wasn't far away from a Toys R Us, so I'd go once a week at lunchtime. 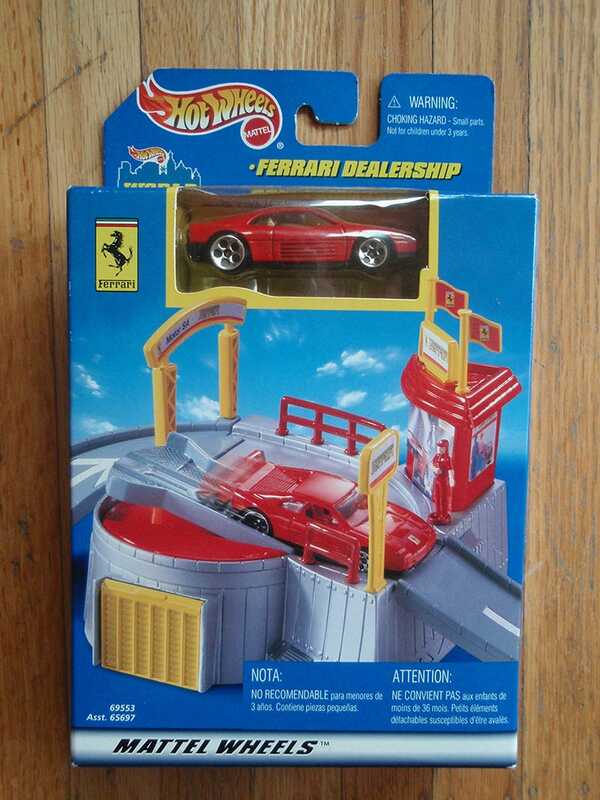 On the shelf was this complete collection of six, another 250 GTO (which I bought and opened) and maybe three others. $7 or $8 if I remember correctly. If you can find them on the internet now they're $15-$25 a pop. I figure since I have the whole collection they'd be worth $25 each. $150 return on a $45 investment. Yes! Can't remember where I found the 5-pack on the right. All red, so awesome! It's not one of the rare ones in which the 348 is plastic, but has gained considerable value just the same. The rest seem to have held their value. Found this Super Chrome P4 at a toy fair held here 3 times a year. Paid $10 for it thinking if it wasn't worth it, it would be someday. 1:87s found at the Toy Traders, Toys R Us, and Walmart. Some of these I found at Toys R Us and the Toy Traders. More than a couple though came from Tourist-trap shops in Europe. Some in small towns and others at train stations. Can't even remember. 246 GTS is the only one I have. :-)x. 10 years ago I started by buying what I like. Only production vehicles, and as few flaming paint jobs as possible. After a few years I took them all out and was overwhelmed. I looked at what I had and decided to cut the collection into Ferraris, Mopars, and Odds & Sods. Gathered up all the duds accumulated (hindsight is 20/20), and most doubles and sold what ended up being 125 or so for $1 each. This freed up considerable closet space and the money helped justify what I'd done. Tomorrow I'll post the Odds & Sods, and on the third day God created Mopar.